We're on our annual holiday in Wales. We stay in the same farm cottage every year - this is our 7th year running - on the Llyn Peninsula. Over the years we've become friends with the two other families who stay in the other cottages on the farm, and we make sure we're all here at the same time each year. There are 7 children altogether, or should that be teenagers, ranging in ages from 11 to 18 and they all get on really well. We go to the same beach everyday - Porth Oer, popularly known as Whistling Sands. It's our favourite of all the fabulous beaches in this area and as long as it's not raining we stay all day. 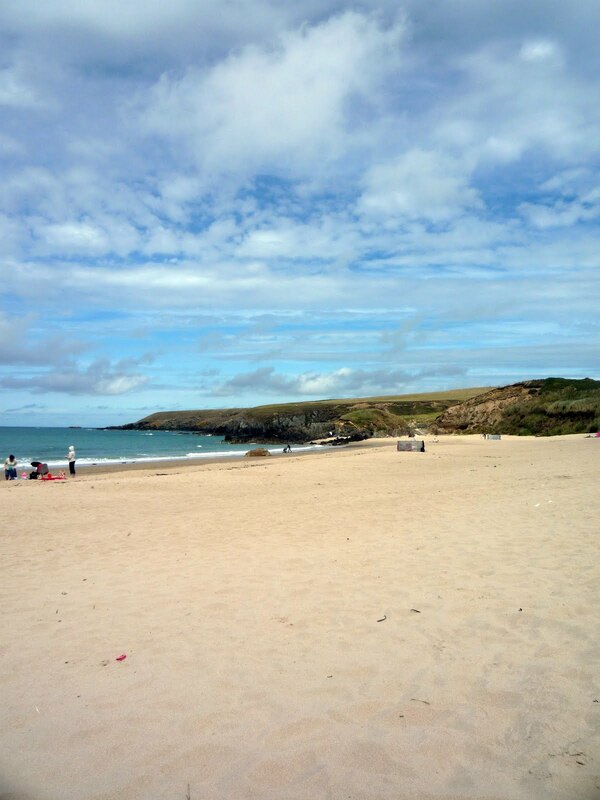 We meet up with the two families on the beach and the teenagers go bodyboarding, play beach cricket or play frisbee while the parents, including me, relax on the beach reading and snoozing, then later in the day we all get together for a game of rounders. When we're not on the beach the girls like to go horse-riding; we look around all the local craft and gift shops; go to a local art gallery and museum which has a cafe with the most fantastic views over the coastline, or we go people watching in Abersoch which is populated by the Cheshire Set, all identikit Boden-wearing families in Range Rovers and Super-Dry hoodies. We always eat our main meal at the cottage because the teenagers like to get together in the evening and play music or play pool in the farm's recreation room just off the farmyard. I don't see my two girls very much in the evening, I read or watch films, they just know to come back to the cottage at 11pm so I can go to bed. And I sleep like a log. All that fresh air and the fact that the bed is the most comfortable one I've ever slept in sees to that. We are creatures of habit when it comes to our holiday, but the girls love it and we'll keep coming until they say otherwise. Now, I think it's time for another cup of tea.